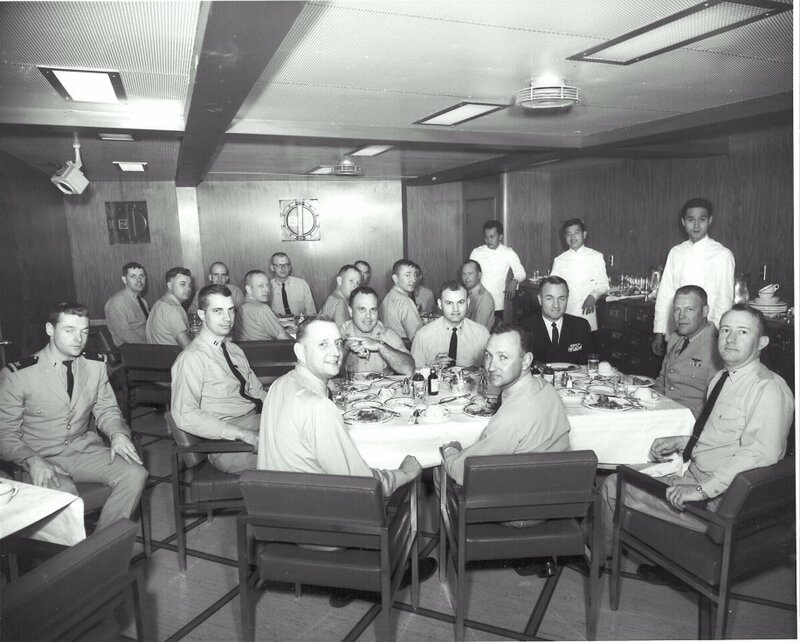 Captain Stansfield Turner joins the officers of the USS Horne for a meal in the wardroom during the spring of 1967, shortly after commissioning. 18. ENS Evan Jenkins, Disbursing Off. If anyone knows the identity of the other two stewards tell me.